Home > General	> Is Legion a classy broad or broadly classy? I see what you did there…nice Hippogryph naming, Blizzard. 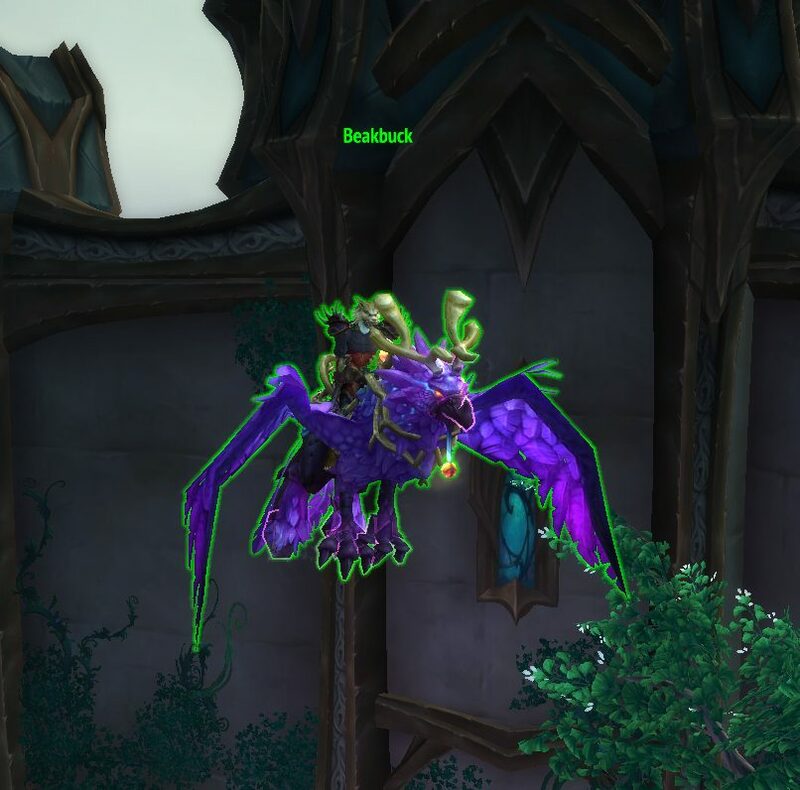 In case you’ve been hiding in a small hole where not even Jinx promotional emails can get to you, World of Warcraft’s Legion expansion launched over a month ago. It was a slow trickle of content release before that, since the class and system changes went live early August along with story content like demon invasions and scenarios where a bunch of main characters from the Warcraft lore had their battle-rez on cooldown when they died, and several people were /promoted. Finally, the deluge of Legion happened, and it was amazingly – and surprisingly – great. As in, one of the best expansions in any game ever. Those of you who have followed me on here know that I haven’t been a World of Warcraft guy. I started playing last January, got a hunter to level 86, and quit to go back to SWTOR or TSW or one of my other standard plays. Things were different for Legion for one reason and one reason only: Class Identity. This is a day-and-age where SWTOR is abandoning the thing that made it great, their class stories. It’s a time when games have come out that have had the ability to change class at will with the same character, like The Secret World and Firefall. And it is at this time, that Blizzard has not only embraced the class-specific content, it has doubled-down on it! Every class has three major areas where they appeal to your class identity and class loyalty. They have really cool spec-specific artifact weapons, they have class order halls, and they have class campaigns. The best thing about Legion was the addition of a horizontal progression system on top of the boring 10 character levels of grinding that everyone has to do. Have I mentioned I hate leveling? This horizontal progression system is the Artifact weapon. It is a kind of skill tree that provides a bunch of minor boosts and bonuses, and more importantly, four spec-specific skills that really change how you play your class. I’ve played my Rogue extensively since Legion launched (and my Paladin a tiny bit). I fell in love with Outlaw because of Roll the Bones. Seriously, it is the coolest skill ever. It has a great visual that appeals to my inner D&D nerd, it has the best sound effect in the freakin’ game, and it is a really interesting skill that changes how you play the class every time you use it. Now, the weapon for the Outlaw rogue is called The Dreadblades. It has the pirate cutlass feel, but it also is insanely useful. It has a skill that speeds up the use of your big damage finishers (at the cost of some health), and when using those finishers, sometimes you trigger an AoE damage effect that also heals you the more things you hit with it. Oh…and it sounds like a cannonball blast. So cool. In addition to the weapon itself, there is also a really pleasant experience that goes along with obtaining it the first time, as you do a class that really fits the theme of the spec. For example, The Dreadblades had you go challenge a pirate to a duel. The Subtlety weapon had you pickpocket someone. Assassination…well, that one is fairly obvious. Regardless, this is a beautiful way to implement a system that can provide a lot of longevity to the game, since you might want to work on more than one weapon. Luckily, there is a catch-up mechanic that will help the future leveling of the other weapons, because right now I am obsessed with The Dreadblades. I almost have the PvP skin for them too (oh yeah, by the way, you can change their appearance through achievements). Another thing that came with Legion was class order halls. They are a bit like Garrisons from Warlords of Draenor, but they are much more polished. You have a board you can send champions on missions with, but there are far fewer champions, you actually care who they are, and the missions are much longer for a higher reward, so you don’t have to micro-manage it. You also can submit orders that take resources and time to give you buffs, such as being able to have a warhorse to do mounted combat for the Paladin, or boost the success of your missions, or even get Seals of Rerolling or whatever the raiders like. I don’t know what they are called, I’m a PvPer. Also, the class halls are just really amazing in feel, and they really reinforce the class identity. The Paladin has theirs under a chapel, the Hunters have a hunting lodge, and Rogues…well, Rogues get the sewers, but they are REALLY cool. Don’t get me wrong, I would love to be in a mansion or something, but the sewers are a lot cooler than they sound. The main area for the meeting of the Uncrowned (secret society of roguish guys and gals) is hidden behind a false bookcase. 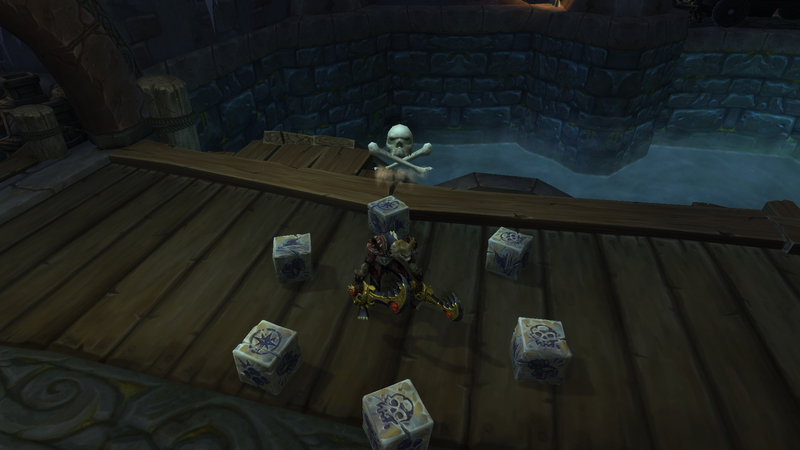 There are little handles you can use to spring out of the woodwork in Dalaran in different parts of the city. There are three different entrances, in fact, and you access all of them by going up to specific vendors (like the mining trainer, for instance) and showing them your Uncrowned medallion. Amazing attention to detail, and so, SO cool. In addition to all of that cool stuff in the order halls, there are also quests for your class, specific to your class even. You meet people from the lore and the world that you’ve met before, and you go on missions to rescue them or to help them achieve a goal, and the stories are really great. You feel like you are doing Rogue-y things as a Rogue, and you feel like you are getting your Paladin on as a Pally. It really does fit the class fantasy, and it is actually pretty involved and not at all just an afterthought like the class-specific things that slip into SWTOR. Completing the class campaign unlocks even more awesome versions of the original look of your artifact weapons, and grants access to more pieces of the class hall armor set. Even if the stats aren’t as good as you’ll need by the time you finish unlocking the armor sets, they are great cosmetically, and the recent revamp to the transmog system helps with that. So all-in-all, I have really enjoyed the feel of the class-specific content, and I look forward to more of it in the future. What are your favorite features of Legion? The world quests? The crafting? The Mythic+ dungeons? How about the deathtrap known as Suramar? Let me know in the comments below!